Having an attorney who specializes in Social Security Disability and SSI will increase the chances of your claim being approved by the Social Security Administration. 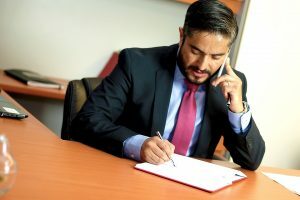 You are not required to have an attorney when you apply for Social Security Disability Insurance (SSDI) or Supplemental Security Income (SSI). However, having an attorney who specializes in Social Security Disability and SSI will increase the chances of your claim being approved by the Social Security Administration. Unfortunately, the Social Security Administration denies around 70% of all initial Social Security Disability claims. Many people give up when their claim is denied. Giving up is the wrong thing to do. A Social Security Disability Attorney can evaluate your claim, help with your initial application and help you with your appeal. If your case goes to a Judicial Hearing, your Social Security Disability Attorney will ensure that you are well represented in court and will give you the best chance possible of obtaining a favorable outcome.